The female body as the architect’s plan: For its spring/summer 2019 Women’s Activewear collection, performance sportswear brand Odlo has joined forces with the design company of the legendary architect Zaha Hadid. In a similar way to Odlo, the architecture of the “Queen of the Curves” is distinguished by different layers and seamless transitions. This extraordinary partnership with Zaha Hadid Design gave Odlo a completely fresh perspective in the development of functional sportswear, which resulted in feminine, but functional training must-haves based around the design theme “Layered Space”. 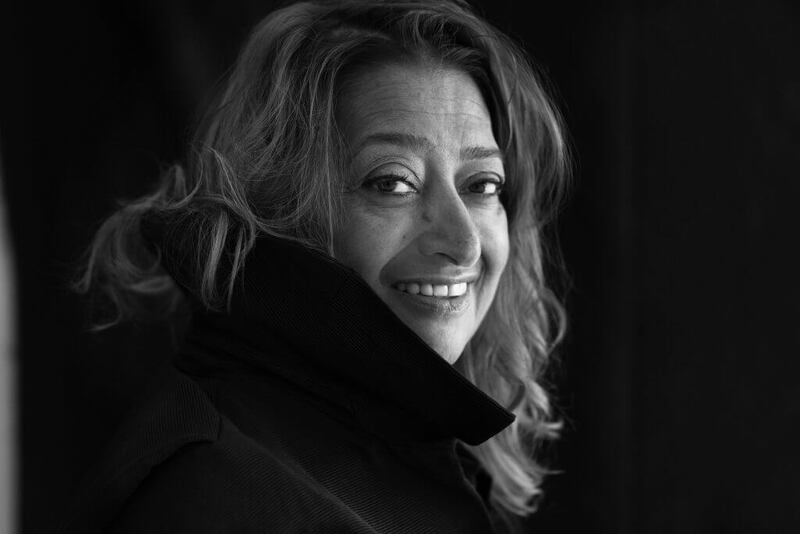 Zaha Hadid herself was a true role-model for many; instead of her gender being an obstacle to her success in an industry dominated by men, she used it to empower herself in creating opportunities to set her work apart. Odlo targets these kinds of independent and self-confident women for its Women’s Activewear. 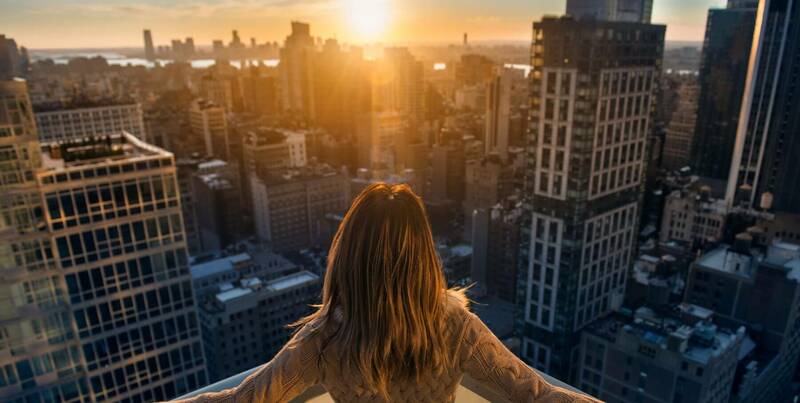 Women who are not willing to compromise on career or an active lifestyle, nor on style or functionality. The heart of the Women’s Training collection is the Zaha line comprising a parka, tights and bralette. 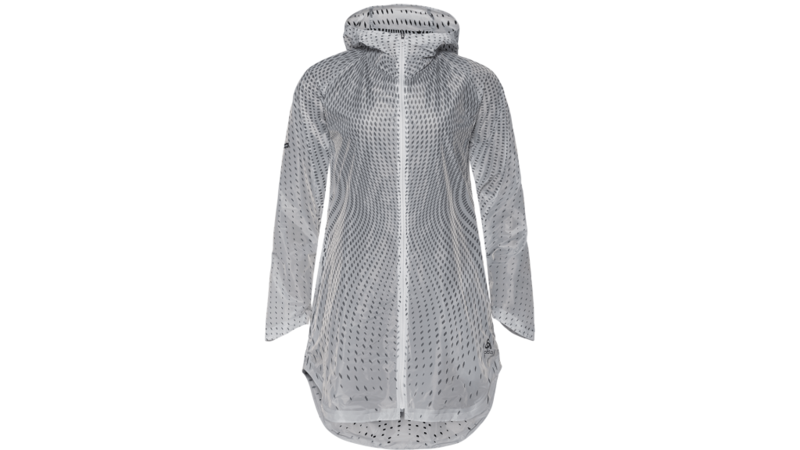 Being translucent and breathable, the Zaha Parka is suitable to wear both to and from the gym. This is emphasized by the subtle flock-print on the inside which makes sure that the parka does not stick to the skin and feels good to wear. 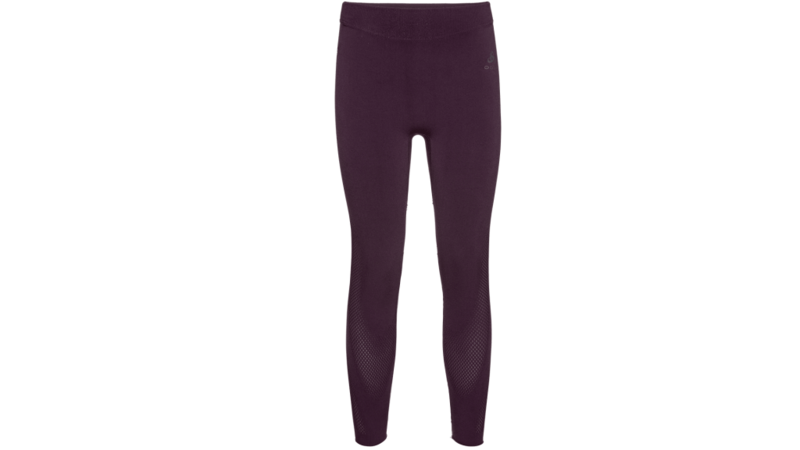 Zaha Tights with their sophisticated warp knit technology ensure a perfect fit and full freedom of movement. Their integrated net structure makes the tights look sensual, lending them an elegant touch at the same time. What makes the design language so distinctive is the seamless fabric transitions and the clear contours. The Zaha Bralette radiates elegance and femininity and is also a real eye-catcher, reinventing the layering effect in a unique, very appealing design. The sports bra provides support and incorporates Odlo’s Organic Bodymapping-concept with its flowing net structures in a surprising way. At the same time, the Zaha bralette convinces by the combination of ease and superior flexibility. Women who dare can also wear this “must-have” as a top. Natural material blends are also used for Odlo’s Women’s Activewear line. These styles, which were designed for gentler fitness sports, boast a superior wearing comfort and a super-soft touch. The Lou Linencool Tops offer the perfect combination of style and comfort. Odlo’s innovative active cooling fabric Linencool is based on the natural fibre linen in combination with polyester and will keep the skin temperature 0.5 °C cooler. Whether it’s your own training program or you’ve joined a circuit class, staying cool at the gym will keep you working at your best for longer. 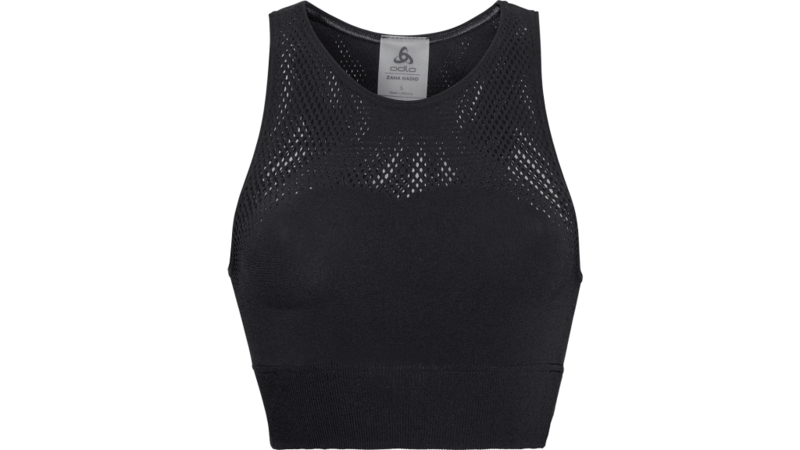 The cooling fabric also feels super soft and boasts excellent moisture management. With a feminine look and stylish melange optic, these tops can also be worn in everyday life! What a luxurious look and feel! 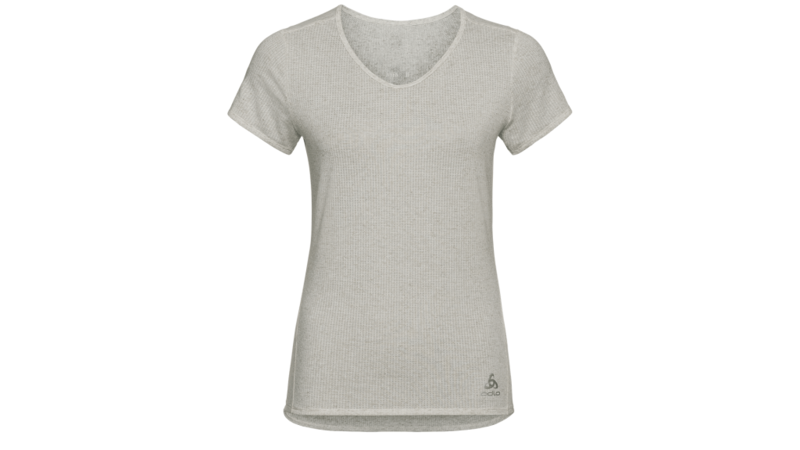 The super soft Alma Natural Tops are made of a material blend with Tencel ® fibres and polyester. Known for their natural comfort, Tencel® fibres are produced by environmentally-friendly processes from the sustainably sourced natural raw material, wood. 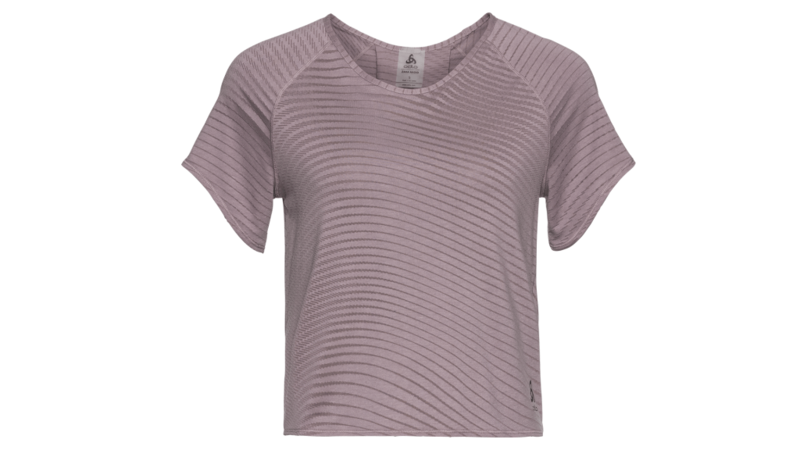 The fold at the back of these pretty tops and the longer cut at the back create a flattering feminine shape, whereas the cool-looking burnout effect reflects the fluid design language of Zaha Hadid Design.